Gauging Childhood Obesity Factors Takes A Unique Poll : Shots - Health News NPR, the Robert Wood Johnson Foundation and the Harvard School of Public Health created a unique poll to gauge what children across the country are eating, drinking and doing as far as physical activity goes. Here's why. A poll needs to ask about randomly selected children in households across the country to bring context to what's happening with kids like 7-year-old Henry Condes in Los Angeles. NPR, the Robert Wood Johnson Foundation and the Harvard School of Public Health, where I'm a researcher, created a unique poll to do that. The poll looked at what children are actually doing in terms of eating, drinking and physical activity. Are they eating dinner with their families? And what's on their plate (or TV screen or iPod) when they do? One thing that makes this poll different from others is that it's based on a random sample of children, even though adults in the households answered the questions. In order to be sure the findings are representative of children across the country, we needed this random sample of kids. For most kids, the adult who knows what they eat and what they're doing in terms of activities does turn out to be a parent. But for some kids, the adult who knows is a grandmother, a foster parent, an uncle or even an adult sibling. We call the respondents "parents" in our reports for simplicity, and we make a note about this in the complete description of our polling methods. Lastly, this poll asks about specifics, not about generalizations. We ask about what happened on the day before the polling team called. We know people sometimes have a hard time remembering what they (or their children) did over longer periods of time, so asking about a specific day can help give a more accurate picture. To make sure the day before is part of the school week, we only called people Tuesday through Saturday. In addition, we asked about the time from 3 p.m. to bedtime rather than school hours. We thought 3 p.m. to bedtime was a time when many parents or caregivers of kids in a broad range of ages could more reasonably be expected to know what the child was eating, drinking or doing. These polling techniques allowed us to create a poll that gives a unique window on the issue of children, weight and the childhood obesity epidemic. Hopefully it gives listeners and readers new insights into this important issue facing America today. 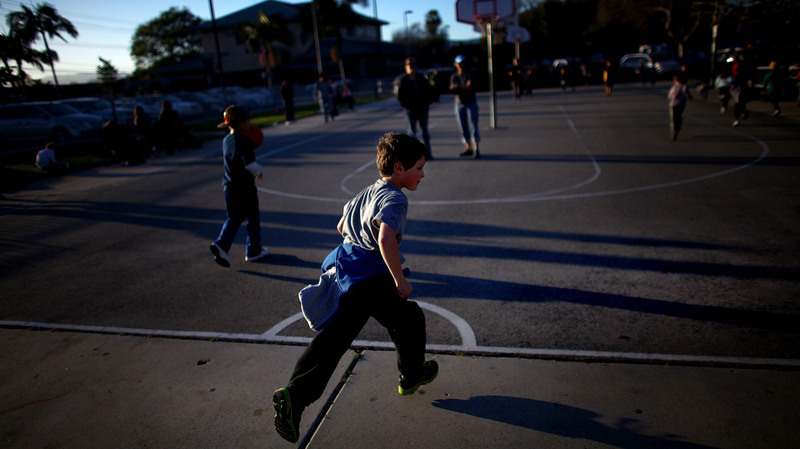 This story is part of the series On The Run: How Families Struggle To Eat Well And Exercise. The series is based on a poll from NPR, the Robert Wood Johnson Foundation and the Harvard School of Public Health. If you want to dive deeper, here's a summary of the poll findings, plus the topline data and charts.